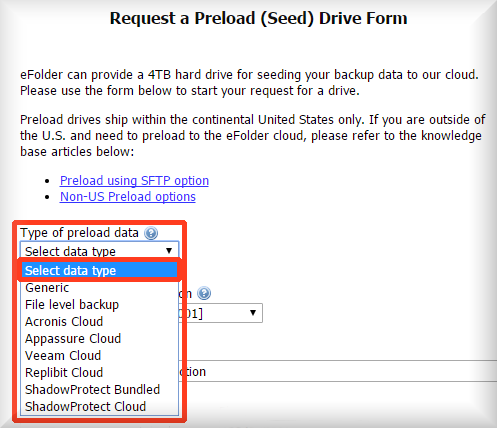 NOTE: Preload drives can only be requested for shipment within the United States. Log into the Axcient Backup Portal. If you use Axcient's file level backup, you will enter your Axcient Account Number(s). 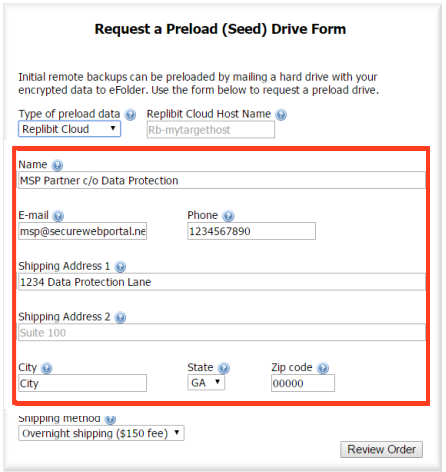 For Acronis Cloud, you will enter the Cloud node name and the password to unlock the Seed-Vault. For AppAssure Cloud, you will enter the Target core name. For Veeam Cloud, you will enter the Veeam Target Host Name and the Veeam Tenant. For Replibit Cloud, you will enter the Replibit Cloud Host Name. 2. 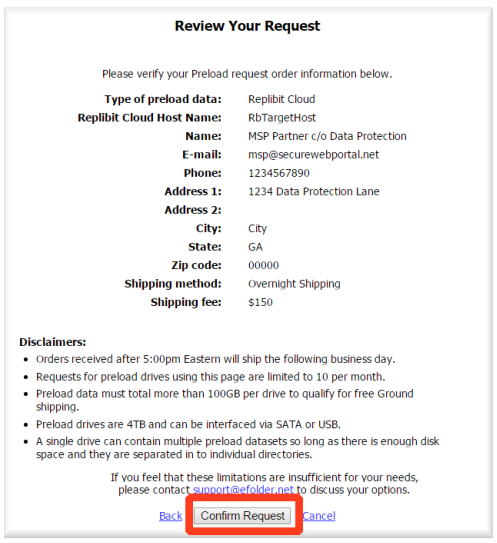 Enter your contact information and the location details where the drive should be shipped. 3. 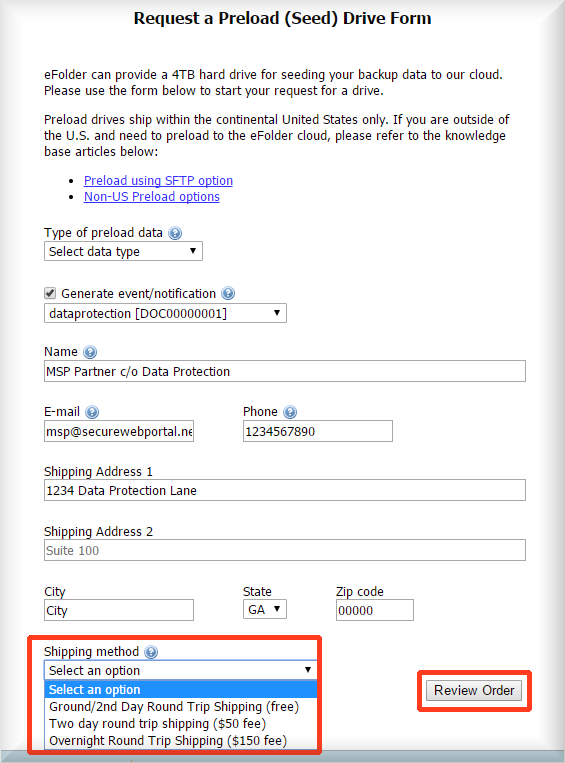 In the Shipping Method drop-down list, select your preferred shipping method. Ground/2nd Day Round Trip Shipping is included at no additional charge. Two day round trip shipping is available for a $50 fee. Overnight Round Trip shipping includes overnight air transit of the drive. If you select the Overnight shipment method, a $150 charge will be added to your monthly invoice. When you have selected your preferred shipping method, click Review Order to verify your order. 4. Review your request carefully. Verify the information you have entered is complete and correct. Then, select Confirm Request. Call us at 800-352-0248 .